Titanfall Beta Impressions Part 2! I said last week that I had a lot of stuff about the Titanfall Beta that I wanted to talk about, and that I would finish up today. So let’s dive right in, shall we? If you missed last weeks post, where I talked about a bunch of specific things like weapons and the Titans, feel free to go check it out now. This week I’m going to look at the beta from a broad view, looking more at how the game played and my overall impressions with it. So let’s start with the part I was most worried about going in to the beta – the balance between Pilots and Titans. Prior to actually sitting down and playing the game, I was worried that when the enemy team had Titans up, that would be all she wrote; that the players on foot wouldn’t have a chance at destroying the Titans. 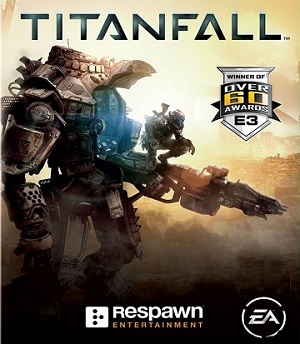 I think in general, Respawn did a really good job of giving the Pilots a real chance against Titans – there were only two anti-Titan weapons, but both worked really well at causing some damage, plus the rodeo feature makes every Pilot a threat in a fight. Now, going against three Titans on foot is a really bad idea without some Titan backup, but in general, a Pilot really has a good chance against a Titan. This balance is easily the most important part of the game – mess it up, and the game just wouldn’t work. So kudos to Respawn there for getting it right so far. Check out my clip of me taking out a Titan in style – on foot. Next I want to talk about what I think was the breakout star of the beta – the parkour system. Going in I think most fans were most anticipating hopping into Titans and crushing enemies that way. After a few rounds, I found myself delaying calling in my Titan, because playing on foot is just so much fun. And again, this was a really important part of the gameplay that Respawn had to nail, or it would kill the fun and mire down the action. One thing that struck me early on in the beta was the pace of the gameplay. Thanks to the parkour system, the pace is way faster than Call of Duty, Battlefield or Halo, by a fairly noticeable amount. It’s not quite Tribes, but it’s definitely closer to that series than any other shooter out there now. And the parkour system is so smooth – no extra button pushes, just fluidly run along walls and jump all over the environment. I hate to use the phrase “game-changer” because I think it’s way to early to crown Titanfall one – this was just a week long beta after all, with a limited experience for sure. But I think that the seeds are sown for it – assuming that the full game builds on everything we saw in the beta I think it’s not a big leap of faith to say Titanfall could be this generation’s breakout shooter. We still have to wait and see what Destiny does, as well as the next entries in Call of Duty and Halo, but I think the trend is going to skew back towards high mobility like we saw in Titanfall. The past seven years have all been featuring shooters with strong cover systems – Gears of War, Call of Duty and Battlefield especially come to mind. I think the audience is ready for a change, and Titanfall is not only coming out at the right time, but also is doing it very well. So we’ll see in a few weeks if “game-changer” is appropriate, but based solely around the beta, I think we definitely have a great shooter on our hands here, one that I think we’ll be playing for years down the road. Next week I plan on giving you guys my impressions on Thief, which comes out tomorrow, Feb. 25, as well probably talking a bit about something I’ve come to really enjoy over the last four years or so – Achievements. This entry was posted in Uncategorized and tagged Call of Duty, Destiny, FPS, Titanfall, Video Games by Dan Fasulo. Bookmark the permalink.